On Oct. 4, 2012, Cal Berkeley Democrats endorsed Proposition 30 without a single voice in opposition. While Prop. 30 is not flawless, we firmly believe that Californians, and especially California’s students, cannot afford to vote no on Proposition 30. 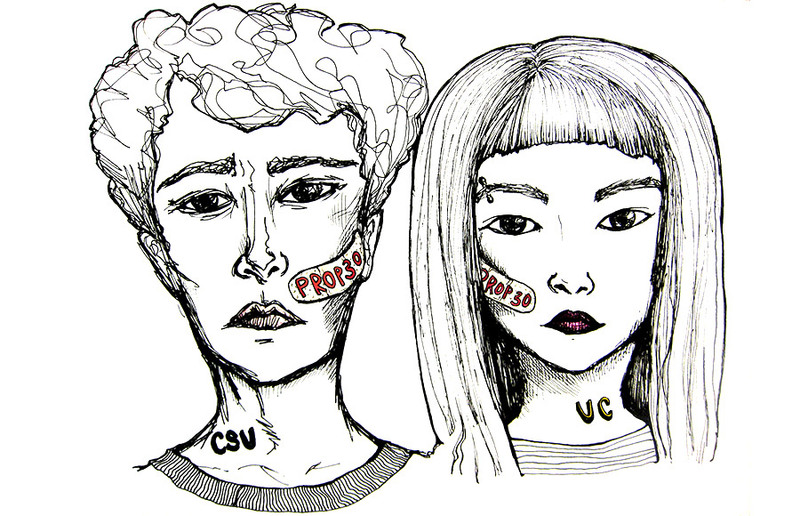 The UC Board of Regents of the University of California have explicitly stated that, if Prop. 30 does not pass, tuition will go up next semester by 20.3 percent — an estimated $2,400 for in-state students and closer to $7,000 for out-of-state students — and would continue to increase even more in the future. Over the last several years, the state’s divestment in higher education has left us stranded in the middle of the desert, but Prop. 30 finally provides us with a trickle of hope for some much-needed water. We hold the conviction that Prop. 30 is a reaffirmation to the people of California that the students of this state will protect and defend the ideals set forth by the California Master Plan for Higher Education of 1960 that established California’s UC, CSU and community college systems. For the past few years, the state of California has continued to divest from public education, forgetting its promise to generations of California’s students. This trend will only continue until we effectively mobilize students. Saving California’s struggling university system should not end with Prop. 30. As critics of Prop. 30 point out, it does not explicitly require the revenue raised to be funneled into the UC or CSU. But with pressure from the massive amount of students enrolled in public universities, we can gather enough political strength to demand what is rightfully ours. We, the Cal Berkeley Democrats, have joined with other proactive student coalitions across campus to phone-bank and campaign for this proposition. We will continue to do so right up until 8 p.m. when polls close on Nov. 6 because it genuinely jeopardizes our futures as undergraduate students, potential graduate students and concerned community members. However, students need to realize that Prop. 30 is a compromise. Prop. 30 would increase income tax on those who make an income of $250,000 or higher, in addition to raising the statewide income tax by 0.25 percent. The additional revenue is expected to bring in an estimated $9 billion, according to Gov. Jerry Brown, while the Legislative Analyst’s Office estimates revenues would amount to $6.8 billion. By having both a progressive income tax and a regressive sales tax, proponents hope that it will more widely appeal to California voters and appease students who would be uneasy with either only a regressive or a progressive tax hike. Prop. 30 is not without its own flaws — we as Democrats take specific objection to the fact that it imposes a regressive sales tax on all Californians. Essentially, Prop. 30 asks us all to contribute a little more so students can stop being used like cash crops for the university. Prop. 30 is not a substitute for education reform. It is a band-aid solution to a systemic problem. The state must prioritize education because it is not fair for the state government to continually cut education before all else. But we understand that all Californians must continue to sacrifice to keep public education afloat. If we help Brown and the Democratic Party pass Proposition 30, students will be recognized in Sacramento when we demand that promises to public education be fulfilled. Most students simply cannot afford to vote no on Proposition 30 — and even if you can personally handle the cost of exponential tuition increases each semester, we urge you to reconsider on behalf of your classmates, colleagues and friends. We must join together to pass Prop. 30. Caitlin Quinn is the political director of Cal Berkeley Democrats. Klein Lieu is a former board member of Cal Berkeley Democrats and California College Democrats.